New Kickstarter campaign Wearsafe has lofty aims with a mission to save 10 million lives, and it's started strong by securing over half its funding in the first few days of its campaign. 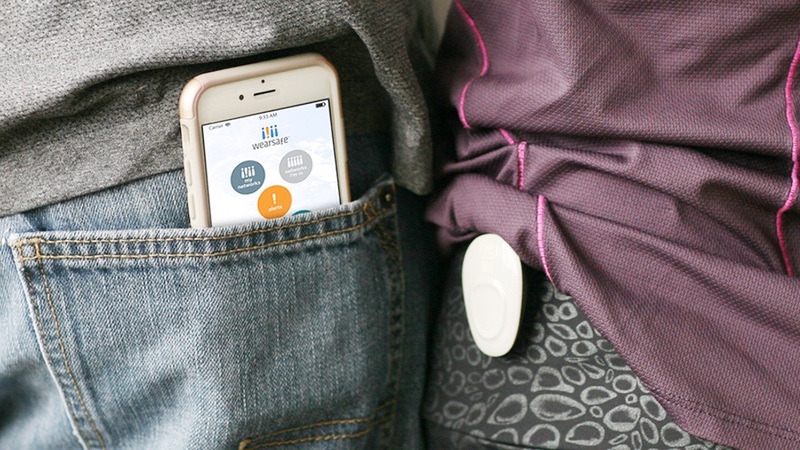 The Wearsafe Tag is a small, wearable, Bluetooth device that pairs with your smartphone to alert your family and friends if you're in danger. The device measures 3.4 cm x 4.9 cm, has a range of up to 200 feet and has a replaceable battery, providing up to six months of use. With just a push of a button the Tag connects with the Wearsafe service app on your phone and will contact everyone in your trusted network. Once the button is pushed, you'll get a silent feedback vibration to inform you that help is on the way. Once alerted, Wearsafe will provide real-time information on your location, speed of travel and ambient sound collected from your smartphone. Your trusted network will be connected by a private group chat. It's a subscription model and costs $4.99 a month. The Wearsafe Tag itself comes with a clip, fabric loop and ring attachment, so it can be worn in the most comfortable way. The Wearsafe app will be available on iOS from launch and an Android version will arrive by the end of the year. The app will also come to the Pebble and Pebble Time, shortly after launch. Compatibility with Garmin, the Apple Watch and Android Wear will arrive soon after. The campaign says: "Our goal is to make integrating Wearsafe into your life as easy as possible. The future of wearables is limitless, and we'll continue to work to ensure that Wearsafe will work with whatever wearable you choose." You can pick up the Tag for $40, with a lifetime of Wearsafe service included for one user, as a thank you for being an early adopter.